Korean actress Kim Sohyun, known for her roles in popular dramas such as Moon Embracing the Sun, will be coming to Singapore for the first time this weekend! Meet her at Plaza Singapura’s Main Atrium at Level 1. 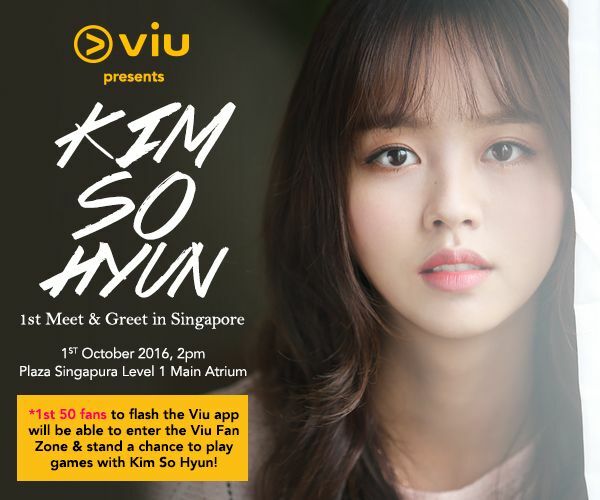 The first 50 fans to flash the Viu app will also be able to enter the Viu Fan Zone and stand a chance to play games with Kim Sohyun!